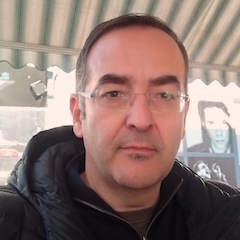 Theo is an Associate Professor of Experimental Nuclear Physics at the Department of Physics of the oldest University in Greece, the University of Athens and an Academy of Athens Laureate in Experimental Physics. He is an alumnus of University of Ioannina (BSc '93) and Rutgers (MSc'99, PhD'02), while he has been a professional researcher at several laboratories and universities around the globe, such as GANIL MSU/NSCL, Berkeley/88in Cyclotron Lab, Yale/WNSL etc. He serves as the CERN/ISOLDE Team Leader at the University of Athens having strong collaborations with several researchers being active in nuclear structure studies. His main research interests include searches for exotic structures of isotopes at the limits of the nuclear chart using mainly radioactive beams, but also stable-beam investigations of isotopes at both fundamental and applied level. He has served as an expert/consultant for international bodies such as IAEA and European Union Scientific Committees. Ana Dura was born in Tepelene, Albania in 1994 and was raised in Athens, Greece. She graduated from the Faculty of Geology and Geoenvironment in 2016 and went on with her MSc studies in Environmental, Disaster and Crisis Management. Her MSc thesis focused on the Disaster Management Cycle in the Philippines after Typhoon Haiyan swept across the country in 2013, and consisted of primary data along the path of the typhoon. She currently pursues a PhD degree working on the development of machine learning algorithms aiming at natural hazards risk assessment. Ana is an ELIDEK Scholar. Her scientific fields of interest oscillate between geology, physics, chemistry and mathematics. Ana grew up in diversity and speaks six languages. She is an incognito freelance short story writer and a genuine lover of the fine arts. She is passionate about leading a healthy lifestyle and is exceptionally adventurous. 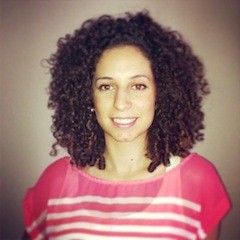 Katerina Zyriliou is a PhD candidate in the Section of Nuclear and Particle Physics at the University of Athens. She was born in Athens in 1994 and graduated from the Department of Physics at the University of Ioannina in 2016. 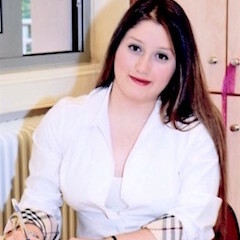 Her BSc thesis focused on studying the resonances in the 12C-12C reaction by performing experiments at the Tandem Accelerator Lab (NCSR Demokritos) under Prof. X. Aslanoglou's supervision. She is interested in experimental aspects of nuclear physics and has joined NuSTRAP group soon after she was admitted in the Department of Physics MSc program, where she worked on the analysis of gamma angular distributions of medium-heavy nuclei. She obtained her MSc in summer 2018. She speaks good english and some french. She has advanced skills on Windows and basic programming skills on C++ and LaTeX. She has been working professionally as a classic and modern dancer for the past 13 years. She enjoys movies and video games. Ahmed (aka Makis) was born in Athens in 1988. 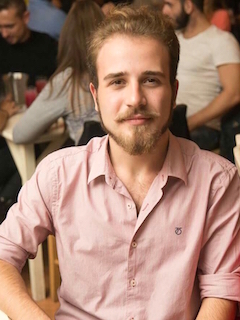 He holds a BSc degree in Physics from the Aristotle University of Thessaloniki (class 2013) and has worked on Ginzberg-Landau model of phase transitions during his BSc thesis, under the supervision of Prof. Ch. Moustakidis. He joined NuSTRAP in 2015 aiming at studying astrophysical processes of p-nuclei, at medium masses. He received his MSc in 2016, and is now working on his PhD focusing on experimental nuclear structure. Makis has received an academic excellence award from the Section of Nuclear and Particle Physics at UoA and has recently earned a PhD scholarship from ELIDEK. 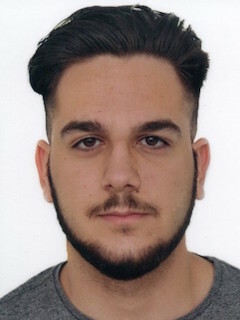 Born in 1996, Polytimos (Timos) graduated from the Physics Department. He is fascinated by nuclear physics and initially joined NuSTRAP in order to research more on nuclear spectroscopy and related experimental setups. For his MSc thesis at UoA, Timos is focusing on studies of radiative proton-capture reactions in mid-weight nuclei. Language credentials include C2 in English, C1 in German and B2 in Spanish. Timos has good skills on Windows enviroments, and basic knowledge of Linux enviroments, and C and LaTeX programming languages. He is also a swimmer and enjoys playing basketball in his spare time. Stefanos Pelonis was born in Athens in 1999 and is currently a sophomore in the Department of physics at the UOA. His initial focus was the understanding of angular distributions of gamma rays emitted from nuclei, but he is now working on the upgrade of a dedicated nuclear electromagnetic moments database. 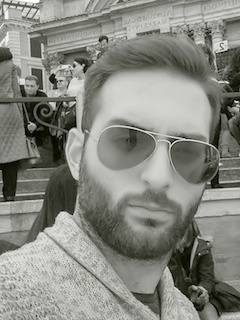 Stefanos speaks greek (native), English (CPE) and has adequate programming knowledge of C. In his spare time, he enjoys literature and weight lifting. 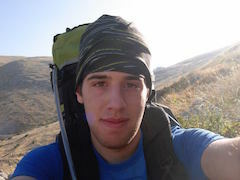 Nikos Maniatis (b.1997) is in his last year of his undergraduate studies and is a new member of the NuSTRAP group. His is currently working on his BSc thesis involving simulations regarding the FAIR/gSPEC detector/magnet setup in Germany, using the Geant4 toolkit. He is interested in the use of simulations in physics and especially nuclear physics, hence has acquired programming skills in C, Matlab and writing in LaTeX. Nikos is fluent in Greek and English and is an electric guitarist, who also works part time as a guitar tutor. Giannis Karakasis was born in Athens in 1998. He is an undergraduate in the Physics Department of the University of Athens. 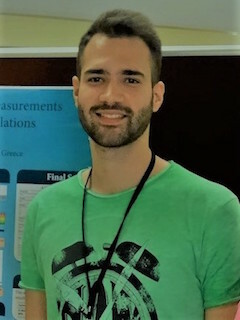 So far, his work with the NuSTRAP group focused on detailed calculations of cross sections using the Hauser-Fehsback theory, but he has recently started preparing for nuclear sepctroscopy studies. Giannis speaks Greek (native), English (Advanced) and German (B1). He also enjoys playing the guitar and composing music. Stavros Bofos was born in Athens in 1998. 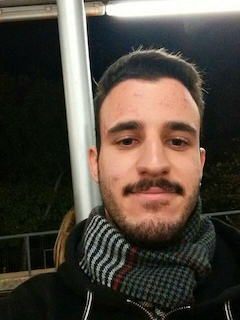 He is an undergraduate student in the Physics Department of the University of Athens, and became a member of the NuSTRAP group from the first year of his studies. He has initially worked on a small-scale investigation of spectroscopic data of superheavy nuclei in terms of critical point symmetries. For his BSc thesis, Stavros is working on the theoretical aspects of magnetic octupole moments. He speaks Greek (native), English and basic French. 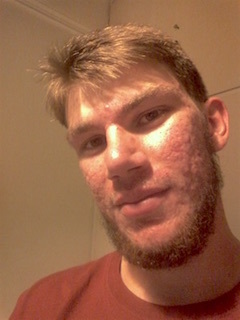 He also enjoys playing basketball and volleyball. Christina Fakiola was born in Athens in 1997. She is a senior student in the Physics Department of the University of Athens, and became a member of the NuSTRAP group from the first year. She is mostly interested in nuclear physics and astrophysics. She has worked in a team of students constructing the first radiation map of the University campus by measuring natural radioactivity, but she has now switched to more fundamental aspects of nuclear astrophysics, focusing on a sensitivity study of the p-process. She speaks fluently Greek, English (Proficiency) and some German (B1 Goethe Zertifikat). She also plays the violin and the piano and enjoys literature. 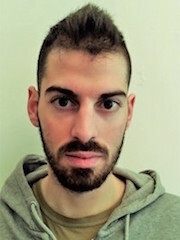 Christos Andrikopoulos (b. Athens 1997) is a senior student at UoA/Physics that has joined the NuSTRAP group very early in his academic studies. He speaks good French, is proficient in English (TOEIC & Michigan Proficiency) and some Russian is there, too. For the time being, he is. He has a passion for nuclear physics, and discovery in general. For his BSc thesis he works at the Tandem Lab of NCSR "D" setting up a neutron detector array. His favorite hobbies are drawing, travelling, woodworking and tinkering. Anastasia Kotsovolou was born in 1997 and grew up in Kalamata, Greece. Anastasia is now a senior student in the Physics Department of the University of Athens. She is mostly fascinated by nuclear physics and astrophysics. She is currently participating in experimental work at the Tandem Lab of NSCR "D", focusing on upgrading the BGO Ball Detector Array. She speaks Greek, English (proficiency) and German (goethe B1). She enjoys dancing, drawing and literature. 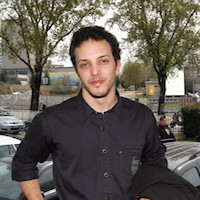 Georgios Zagoraios was born in Athens in 1994. He is currently in his final year of studies at the Physics Department of UoA and is interested in nuclear experimental physics and associated technology. He has worked on several projects in the group, including the developemnt of an analog controller for electromagnets used in magnetic moment measurements with the Transient Field Technique. 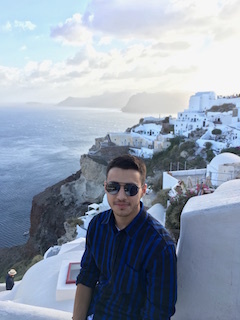 For his BSc thesis, Georgios is focused on magnetic moment measurements from data accumulated at ISOLDE. He speaks english and some german. He is also an alpine hiker and a scout leader. 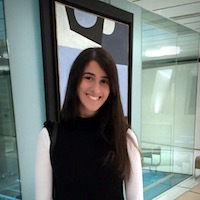 Ioanna Psyrra is currently a senior student at the Physics Department of the University of Athens. 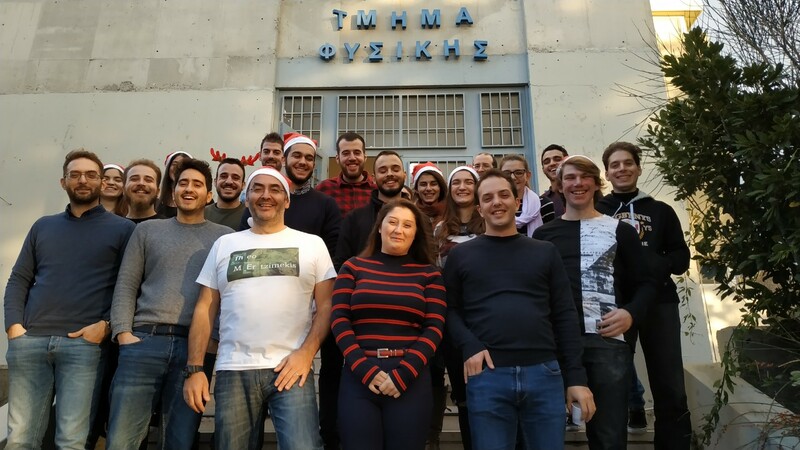 For her bachelor thesis, Ioanna will carry out nuclear astrophysics measurements at the Tandem Accelerator Laboratory (INPP, NCSR Demokritos).